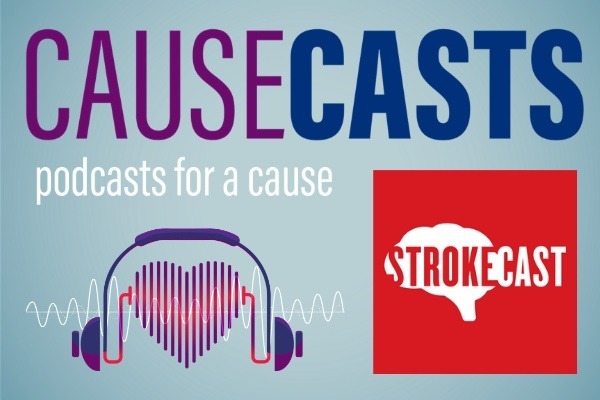 Delighted to have Bill Monroe, host of Strokecast, join me as the second guest on the Causecasts podcast . As part of a thank you for her time, we are hoping to raise awareness and money for American Heart Association Puget Sound Chapter. Strokecast is focused on raising awareness and sharing information on the symptoms, risks and recovery of stroke. Bill himself experienced a stroke at what seemed like a young age and it was this, in combination with his belief in the podcasting format and desire for positive communal work that led to the creation of Strokecast. Another reason for Bill, and a point he makes during our conversation is the seeming increase in strokes in the younger generation. Although there is no definitive answer to why this occurring, Bill hopes to open up the conversation and build towards more awareness, prevention, and care. During the episode we look at the podcasting work Bill did before starting Strokecast and draw some links between his first podcast, Two Minute Talk Tips, a podcast focusing on public speaking and his newer work on strokes. Bill also explains his philosophy around podcasting and why he sees it as such a strong format for delivering meaningful content in the contemporary climate. Our guest is also very open and generous in telling us about his own experiences and personal recovery and what this process has meant to him. The discussion ends off with Bill offering some inspirational advice to anyone thinking about starting their own podcast with a cause, so be sure to tune in and hear it all!